Ministry of Agriculture has implored cooperatives in Western Province to set up Cooperative Bulking Centres which will serve as a marketplace for raw cashew nuts. Senior Marketing Officer, Chibimbi Chunga said the bulking centres would help link cashew farmers to buyers. Chunga said the bulking centres must be secure, meet the standards and be equipped with moisture metres, pallets, weighing scales, tents, jute bags and sewing needles among other requirements. “Government is committed to creating viable, profitable and sustainable marketing strategies in order to enable farmers accrue economic benefits from the cashew project,” he said. He said that government wanted to protect cashew farmers from exploitation by briefcase buyers hence, the setting up of Cooperative bulking centres. “Government will not take part in the marketing of cashew products but instead provide a conducive environment,” Chunga said. “The private sector must therefore seize the opportunity and establish marketing networks”. And senior cooperatives officer, Paos Munzele said government was in the process of enacting a Cashew Act in order to guide the conduct of business. Munzele urged District Cooperative Unions to acquire the Cashew Infrastructure Development Project (CIDP) policy framework in order to acquaint themselves with the cashew business. “Cooperatives must negotiate for a cashew purchase price which could be obtained through a Raw Cashew Nut Auction at a Cooperative Bulking Centre where buyers shall compete by offering prices at which to buy raw cashew nuts,” he said. He implored cooperatives to adopt a flexible payment mode and other marketing strategies capable of attracting cashew farmers who could otherwise opt for briefcase buyers. Munzele has since advised cashew farmers to affiliate themselves to local cooperative societies for ease of transactions and accumulation of trade benefits. 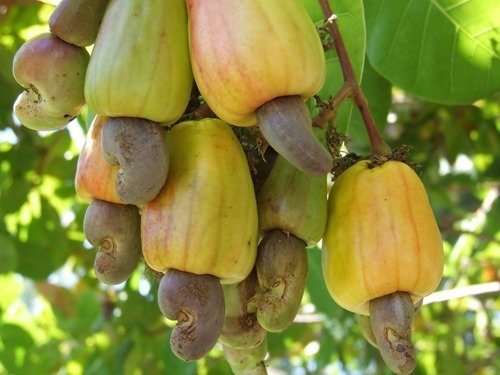 Meanwhile Kalabo District Cooperative Union Ex-official, Bruce Lisimba appealed to government to honour its pledge not to take over the bulking centres and marketing of cashew products. And, a cashew farmer, Doris Nalishuwa bemoaned the lack and inconsistent flow of cashew related information among ordinary farmers and those involved in the value chain production.